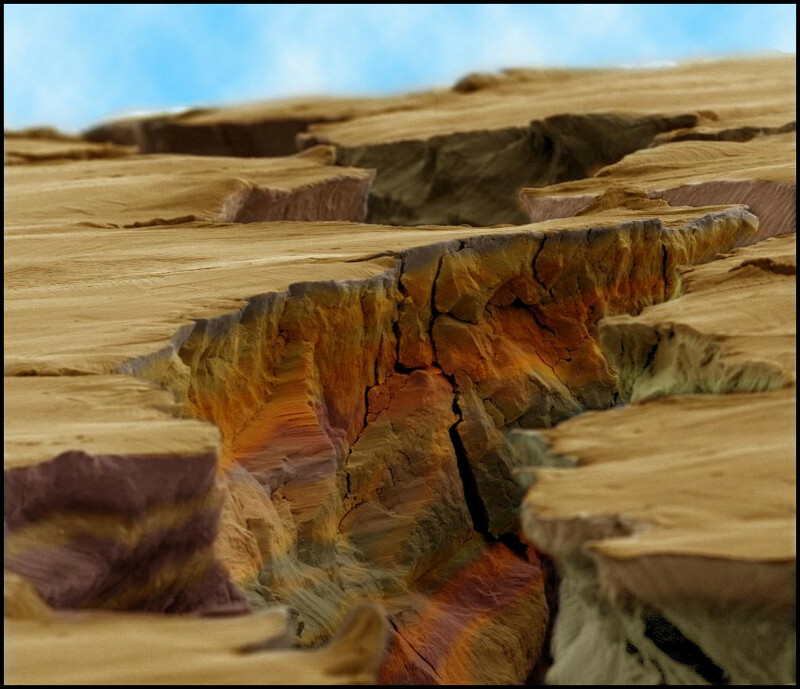 Here’s an amazing false colour image of a micro crack in steel, viewed through an electron microscope. Through repeated load cycles such cracks get bigger and bigger with the bulb of plastic material at the crack tip getting larger and larger. The resulting stress intensification around the crack causes more plasticity accentuating the process. If the number of cycles is large enough at a particular stress range, the specimen can eventually fail then in fatigue. what degree of magnification is it?